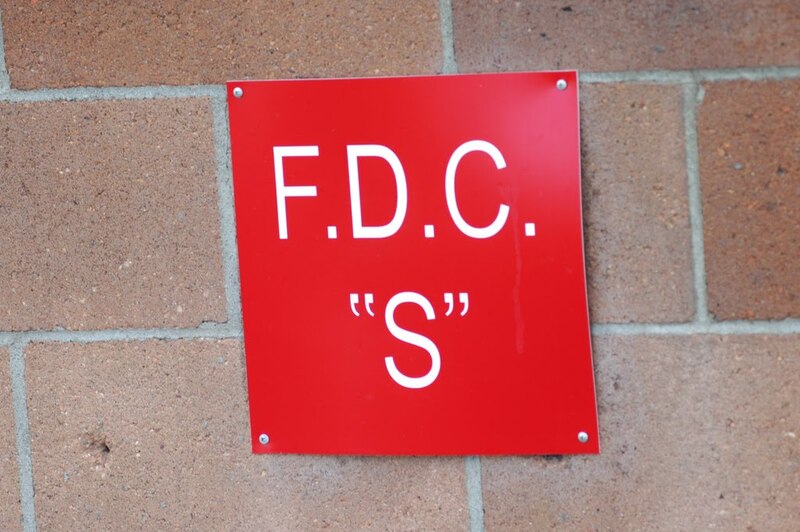 Looks like a hydrant point, confirmed by a search that suggests it stands for 'Fire Department Connection'. I'm guessing this particular connection is in zone 's' for a building, campus, or block. Ah, 'siamese', the type of connection. Awesome. I dunno, there's so much wasted potential here if that's it. 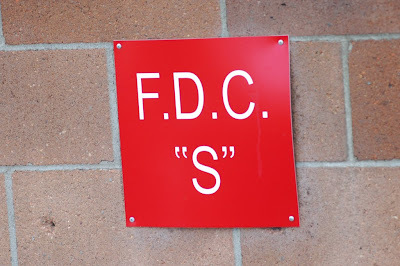 Frog, Dog and Cookie (monster) present the letter "s"
Fire Department Connection for Bldg. S or Unit S maybe?? ?